We understand surrendering your Boxer can be a difficult decision. You may want to keep your Boxer but are overwhelmed. You do not know how to handle difficult behavior, or you are moving, getting ready for a new baby or it may be financially difficult to provide the care your Boxer needs. 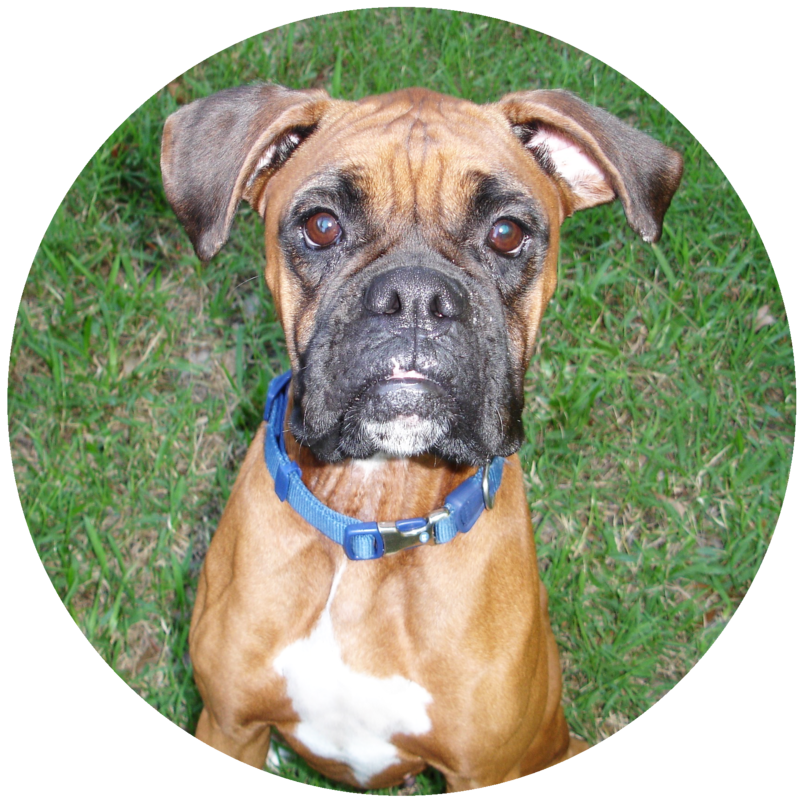 Boxer Rescue Angels of Florida Inc. (BRAF) wants to help owners consider options that may easily resolve the issues which could lead to surrender. Links and resources are provided below and we encourage you to let us help you keep your Boxer as a valued family member. If a behavior is new, such as urinating in the home or growling when handled, consider first consulting your veterinarian as the problem may be due to a medical condition which can be treated. Your veterinarian will also be able to rule out any physical cause of the problem and perhaps be able to refer you to a trainer or animal behaviorist experienced in Positive Reinforcement Training to help address the behavior problem. You may also contact us for referrals to a nearby trainer or behaviorist. Most behavior issues can be corrected by training your dog to be a good pet. In addition, working together will create a stronger bond between you and your Boxer. One-on-one private consultations may be considered for more difficult behavior issues. With so many families having pets, more pet-friendly rental housing is available. It can take time to find the right place so begin your search as soon as you know you will be moving. Pet Pages – Free directory which includes a list of pet-friendly apartments in BRAF’s service area and much more. Pick one up at your local shelter, vet office or news rack. Boxers are known for being great family dogs. As with all family members, you’ll want to begin preparing them well ahead of the baby’s arrival. Resources providing support for military pets if you or a family member are active duty, veteran or wounded warrior. Your local shelter and humane societies offer or can refer you to low-cost or free (based on financial need) clinics. If you try to find a new home for your Boxer on your own, please be sure to have him or her spayed/neutered and brought up-to-date on vaccinations BEFORE placing in a new home. We recommend you ask for an adoption or rehoming fee of at least $100. NEVER place a “free to good home” ad as unscrupulous people look for free dogs in the paper or on Craig’s List to abuse, sell for laboratory research, flip and sell for profit and for dog fighting. They will even show up at your home with children to try to fool you into thinking your dog is going to a nice family. Please don’t let that happen to your dog! Read more HERE. If you surrender your Boxer we will need all vet records at the time of surrender so please obtain copies from your vet. We also request that you donate your Boxer’s crate, bed, food and toys which will help make the transition easier. Upon coming into rescue all Boxers are completely vetted and provided any medical care needed. A monetary donation from you would be greatly appreciated to help cover these costs for your dog. You will be required to sign a Release when your Boxer is surrendered, transferring custody and control to Boxer Rescue Angels of Florida Inc.
We are unable to take Boxer mixes at this time, though we can refer you to an all-breed rescue who may be able to help.